Having a website is an unspoken and unwritten requirement for modern businesses. This is true even for those businesses that do not primarily function online. To a lot of people, a business without a website comes cross as sketchy, or even non-existent. While it’s true that websites are important, this is even truer for e-commerce businesses. As all their business is done online, a lot of investment centres on creating, maintaining, and improving their websites. This is their store and as such, it must be worth going to and making purchases. To help you build a great website, even if you’re not engaged in e-commerce, we’ve written this website creation checklist so that you can get familiar with all the essential elements needed in planning, designing and launching a website that works to help you achieve your business goals. Your domain name should not be a salad bowl of random letters. It should be crafted such in a way that you can feature your brand’s name, can help people remember your URL easily and without spelling errors, and can help them type in the name into the browser bar easily. As far as possible, get the dot com for your business as this is what users are most likely to type in when searching for your website online. To help improve brand awareness, you must include a well-designed logo in your header. Make sure that you put in a lot of effort into your branding colour palette and in creating your logo as this is the most memorable symbol of business. Some of the best places to get a logo designed are 99Designs and Fiverr. Coming up with a catchy and memorable tagline can help boost brand recall. It should also reflect what your business is about and help visitors discern how it is unique from other brands that offer the same products and services. Crafting a compelling CTA can help increase the chance that your prospects perform your desired action and improve your conversions. Spend some time perfecting your CTA to ensure you get the best results. Functional navigation menus can help visitors get around your site smoothly and efficiently. Ease of navigation is an essential consideration of whether a side is high-performing and can do wonders to improve the user experience when done well. If you want to understand how your users navigate and browse your website and content, install a website analytics tool that offers session replay, heatmaps, funnels, and form analytics and use that data to improve conversions. Another way to help improve your navigability is by utilizing breadcrumb navigation where a user’s path towards an internal page is displayed so that they can easily backtrack to the previous level. Above the fold usually lies a static image or an image carousel that is the best location to feature critical information such as promotions, special product photos, lead magnets or anything that deserves special attention from your visitors. Another way to grab the attention of your visitors is by displaying reviews and feedback from previous customers. When done well, reviews increase the trust in your brand, helping you achieve better conversions as a result. Usually, it is best to feature reviews and testimonials from known and trusted personalities or industry leaders. It is also ideal to showcase essential information about your business, not only to prove that your website and business are legitimate but to also correctly inform customers who might want to reach out to your business to decide whether what you offer is right for them. Content is an indispensable part of your website. You should create quality content on a regular basis, and make sure you optimize it so it can generate organic traffic to your site from search engines. Starting a blog is an excellent way to do this. You must have one or more pages showcasing your products and services, as well as your site’s purpose. Your users will scroll down anyway, but you should be able to lead them through your website correctly and guide their experience so they can easily discover what you offer. Within your content, you should make use of internal linking strategies and opportunities so you can redirect your users to interesting pieces of content on your site or to your money pages. While the top navigation is already in place in the header menus, it is also a good practice to have a secondary navigation menu in the footer that points to important pages on your site, so that the user need not scroll back up to the top of the page. Place links to your business’ social media accounts in strategic areas of your site so you can drive them towards your social media pages. You should also have a floating share bar so that visitors can share your content with their networks. You can easily implement these tips using free plugins like AddToAny. Online chat is an essential functionality of most websites nowadays and it has a lot of benefits for your business. If you’re unable to provide 24-hour chat with a dedicated customer service team, there are many chatbot options that can work for you. Besides your contact page, it is advisable to display your business’ contact information on every page of your website. This is not just a trust signal but also helps make it easy for your customers to reach out when necessary. In addition to contact information, it is also a good idea to include your business hours in the footer, so that your users are aware of when they can expect human communication when they have inquiries or concerns. Within your blog, you should integrate the following features that can boost user experience and engagement. If you want to grow a community using your website, email marketing is, by far, the best way to do that. Offer a lead magnet and capture leads and subscribers using an email marketing system. Take note of the following technical considerations, most of which are essential to ensure the best user experience and performance. Get fast and reliable hosting which includes backup and SSL. Use an easily readable and clean font that conveys your message effectively. Use a Hamburger Menu to promote ease of navigation while maintaining a simple design. Use grammar and spell checker tools to prevent language and spelling errors. 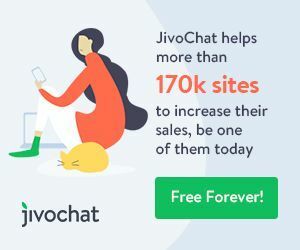 Finally, here are some things that you should avoid doing as they can negatively affect your website’s user experience and conversions. Sharing confidential information, especially those of your customers. 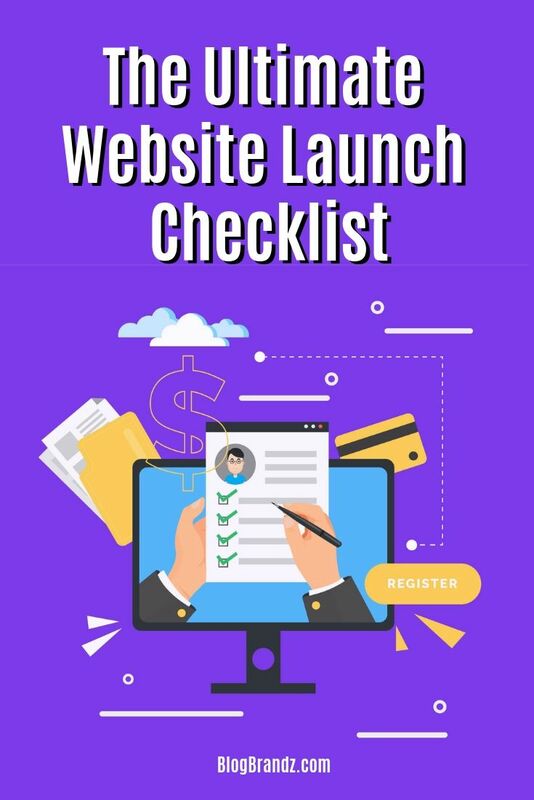 We hope you found this ultimate website launch checklist useful for planning, designing and building your perfect website. Bookmark it and check back often as it will be kept updated always. While website criteria checklists and standards will continue to change as web technology evolves, these tips will help you work your way towards building a website that will help you achieve your business goals.